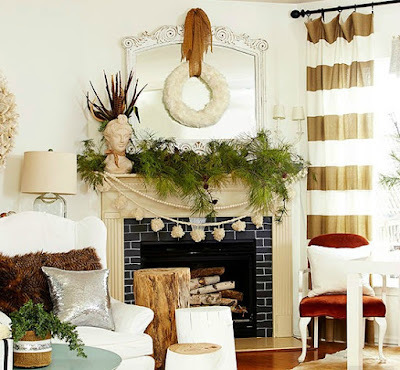 Christmas Garland Decorating Ideas ~ Decorate for Christmas with classic garlands for banisters, mantels, windows, and doorways...plus, for a little modern twist try adding them to dining chairs or chandeliers to create a winter wonderland in your home. 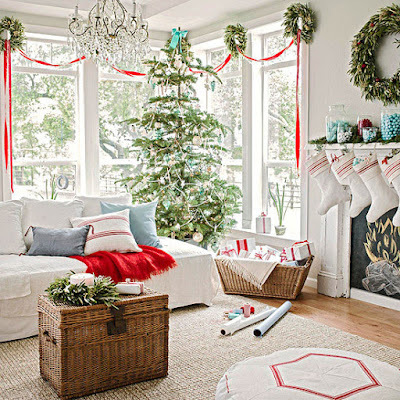 If you're lucky enough to have pillars in your home, let them show off a little at Christmastime by wrapping them in garland. 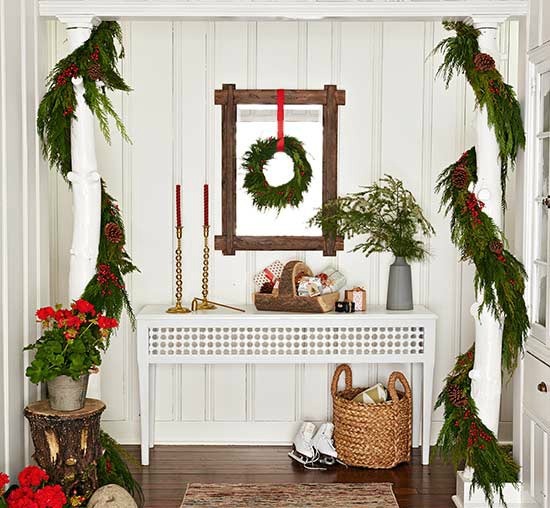 Evergreen garland with berry and pinecone accents picks up on a rustic theme in this vignette. Layer wild, unmanicured greenery with garlands made of natural fibers. This unexpected combination of textures mixes to create an interesting mantel display. 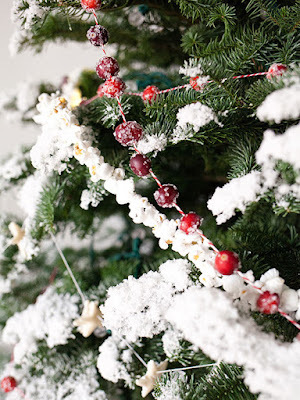 Lay branches cut to various lengths along your mantel, then string cream felt balls to create the first garland. For the second garland, use thick cream yarn and make a braid long enough to span your mantel. 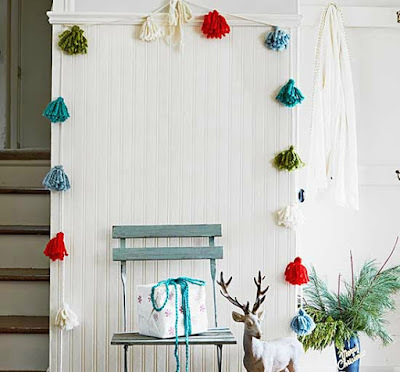 Make pom-poms to hang, equally spaced, from the braid. Add some star power to your Christmas decor. Cut star shapes from sweater fabric using our free pattern. Iron-on heavy fusible interfacing to the backs of stars and trim. Hot-glue a large silver sequin to the center of each star. Glue backs of stars to yarn and hang. 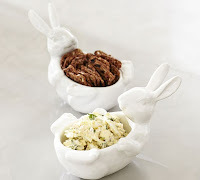 White faux doves are a beautiful way to spread a peaceful message during the holidays. 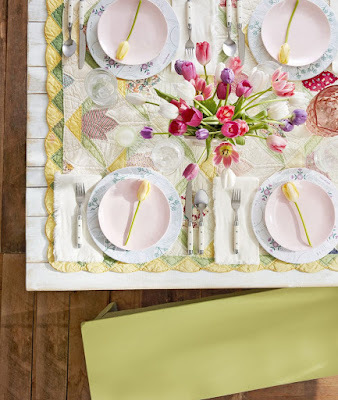 Create a colorful backdrop for the white doves and use green garland with a jewel-tone ornament scheme and beautiful ribbon bows. Why limit your garland to just one window? 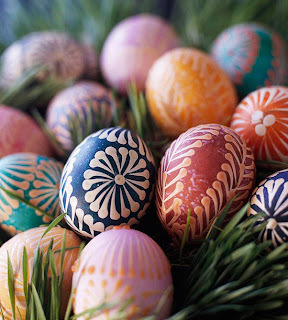 Keep the train moving across an expanse of wall with one continuous length of garland. 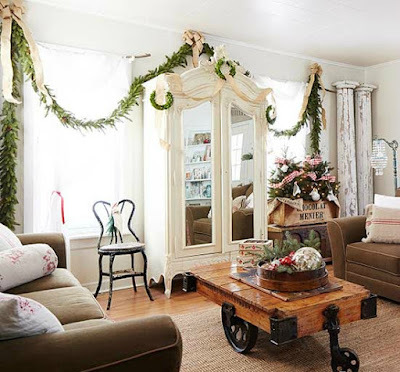 On a wall with two windows, hang garland at the corners of both windows (letting the garland trail toward the floor) and swag it in the middle. Top each place where the garland hangs with an oversized bow. Craft a simple Christmas garland with a mix of yarns. Make tassels from chunky twisted yarns in colors that match your Christmas scheme, and attach them to a length of yarn. Drape your DIY garland along a wall, banister, or even your tree. 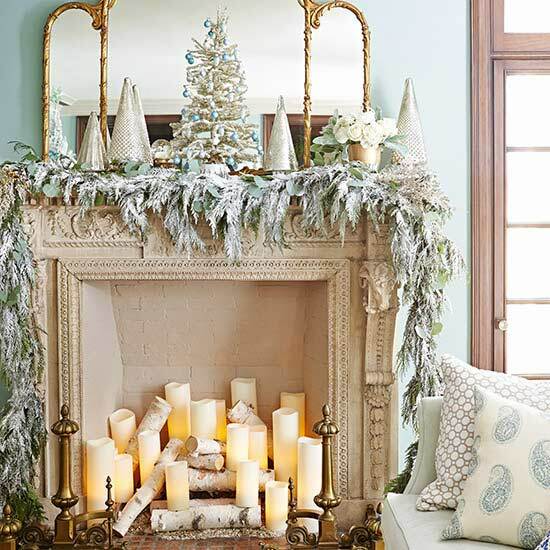 Go lush with a layer of flocked garland along your fireplace mantel. Intertwine with eucalyptus or bay leaf garland. The cool greens look positively stunning against the silvery evergreen. 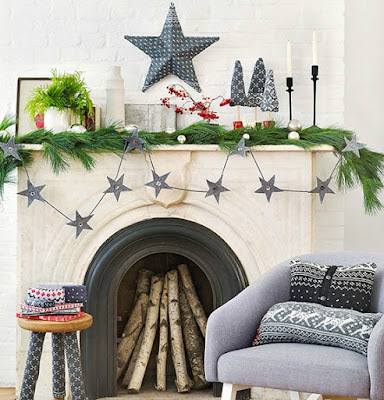 Adorn chairbacks with cute and creative holly garland. Cut out holly leaves from shades of green felt. Punch two holes in leaf tops. String with matching paper straws (cut to 6 inches) to make a chairback swag. For berries, hot-glue wool felt balls to leaves. Pin or tie garlands to back of chairs. Beautiful red cranberries have long been a symbol of Christmas. 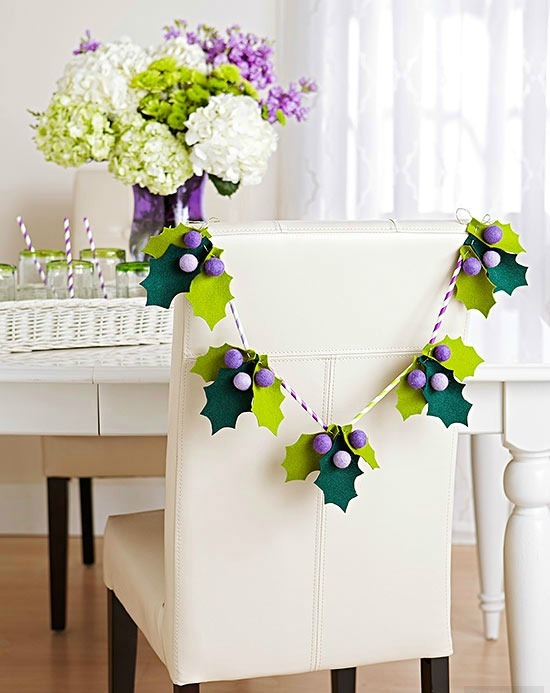 Create a sugared cranberry garland by tossing berries in a bag filled with crafts glue. Then add a handful of white sanding sugar and toss to coat. 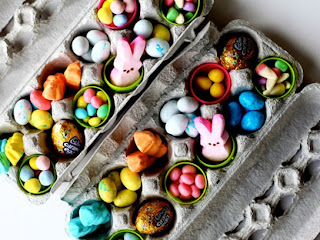 Lay out the berries on wax paper to dry, and finish by threading the berries onto bakers twine using a tapestry needle. One of the very best parts about the Christmas season is the collection of packages that gather beneath the tree. Carry the package theme all the way through the house with this whimsical shipping tag garland. 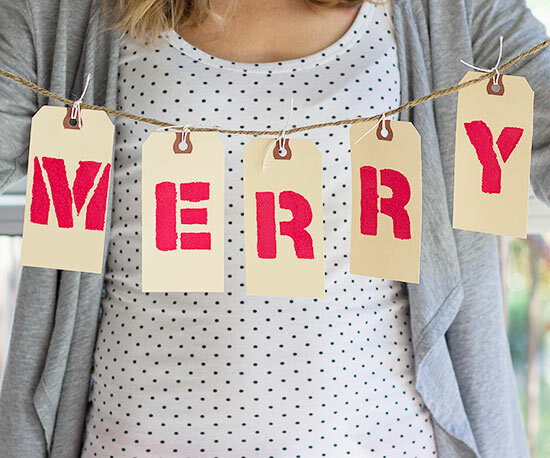 Use stencils and red paint to add letters to plain paper tags. Set the tags aside to dry before stringing them onto twine to finish. Garlands used to be pretty basic holiday decor -- evergreens draped on mantels and stairwells. Now you can go bigger, like this room: Pretty evergreens add texture on top of the mantel, but a ribbon garland draped through miniature wreaths accents the large corner bank of windows for a festive pop of color. 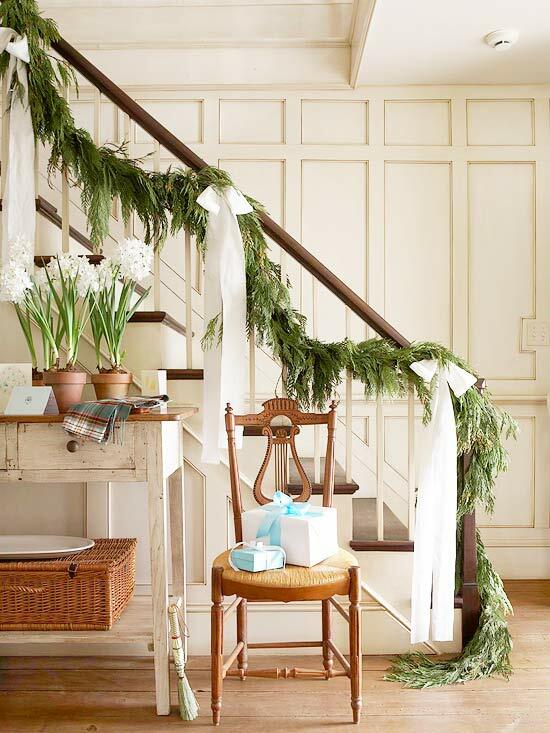 Graceful bows with long tails dramatically enhance a simple evergreen garland. 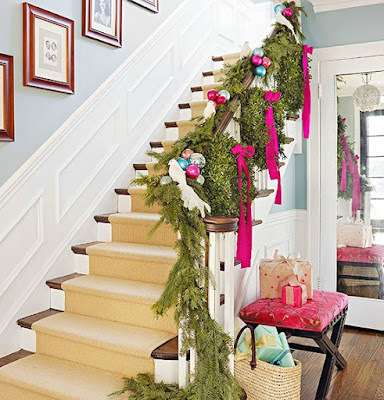 Cut extra-long strips of wide ribbon or fabric, tie into bows, and attach to the stair railing about 3 feet apart.